Happy 50th birthday Patrick Ewing!! 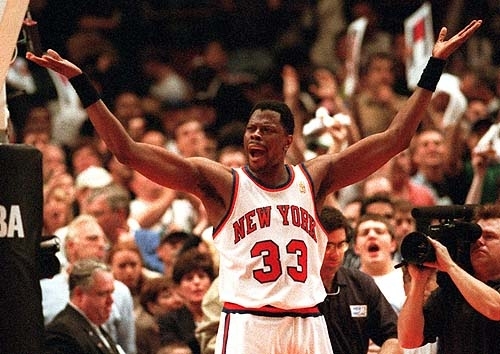 During the late 80′s and 90′s, Ewing became the hero of the Garden. He was drafted with the number 1 pick in the 1985 draft from Georgetown University. We all looked up to him and assumed he would take us to elusive NBA Championship. As he did with other great players of the 90′s, Michael Jordan prevented Ewing from getting past the Eastern Conference and reaching the ultimate goal. Ewing had his opportunity of playing in the NBA Finals in 1994 and in 1999, but fell short. Instead, Ewing will be remember for rejuvenating the Knicks franchise, his all star appearances, being a part of the original Dream Team, and being a Hall of Fame player. Naismith College Player of the Year in (1985).